Insightful and bold, Arabia’s Rising is not only anchored in history, it is built on a critical analysis of those crises which have ailed the Middle East: sectarianism and radicalism. Looking well beyond the accepted “Western” narrative Arabia’s Rising proposes a fresh optic on the war-torn region, lifting the lid on its complicated past and let’s admit redacted religious identity. A political analyst and commentator for the Middle East with a special focus on radical movements, Catherine Shakdam’s connection to the Middle East is one of profound love and respect: for its people, its history and the future its nations want to build for their sons and daughters. An eye-opener and somewhat of a revelation, Arabia’s Rising opens a conversation on the future of the Middle East by looking back, linking history and old fractures to today’s hopes and aspirations. Weaved around Islam’s history, Arabia’s Rising is one of those read which will echo long after all pages are read. And maybe, just maybe somewhere along the way, readers will learn that the Islam they were sold and the history they were given do not exactly reflect reality. “A superb synthesis that distills the essence of Islam in theory and practice. Arabia’s Rising by Catherine Shakdam provides a concise yet comprehensive understanding of the Islamic worldview. Written in small segmented truth-bytes, which can be assimilated by lay and academic audiences, the author weaves past, present, and future seamlessly in a captivating narrative of cosmic consequence,” writes Dr. John Andrew Morrow, Senior scholar of Islam. “Just as the world has learned to hate and fear Islam, blaming its people and its faith for the evil of radicalism, Arabia’s Rising came to shatter the web of lies, shining some truth on the people of Islam, on Islam’s history and a people’s aspirations. A brilliant analysis, Catherine Shakdam dares go where many analysts have not – exposing what real powers and real dynamics are at play in the Mid-East,” writes Marwa Osman a PhD candidate, lecturer and political analyst. 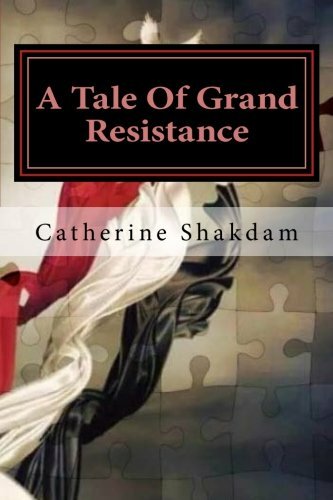 Catherine Shakdam contributed a chapter to the book – The Terror which could end all Western democracies: who killed the French Marianne? A SHAFAQNA PUBLICATION – Shafaqna is proud to present its second publication this year by Catherine Shakdam – Director of Programs for the Shafaqna Institute for Middle Eastern Studies. An incredibly important book, A Tale Of Grand Resistance: Yemen, the Wahhabi, and The House of Saud holds a mirror to those dynamics, and those narratives which have ravaged Yemen, and plunged this one nation of Southern Arabia into the pyres of war. If Yemen managed to resist the Ottomans, the British Empire and pretty much all other imperial powers which ever attempted to subdue and control its people, the sons of Hamdan almost lost their freedom and national identity to the hegemonic ambitions of the House of Saud. Today Yemen is breaking free from the shackles of covert imperialism, learning once more to stand tall in the face of oppression. And though the impoverished nation is undergoing the growing pain of political empowerment, stumbling at times as a new generation of leaders are being made in the trenches of the Resistance movement, the sons of Hamdan are defiantly reclaiming their history, their land, their nation. As Yemen rises once more, it is a nation-state which will reclaim its place at the world table – with Yemen, Southern Arabia could witness the rise not of a political giant but a liberation movement echoing of the hopes first enounced by Ayatollah Ruhollah Khomeini (1979), when he first proposed an alternative to western capitalism as the only democratic model. Betrayed by their leadership, lost to corruption and bogged down by poverty Yemen’s long descent to the abyss can be traced back to 1994, when former President Ali Abdullah Saleh made a pact with Riyadh – military and financial support against the Southern Secessionist Movement – in exchange for Yemen’s heart and soul. Those Highlands the kingdom knew it could not militarily over-run, it chose to insidiously transform through the export of Wahhabism and Salafism. Former President Saleh opened Yemen up to Al Saud’s ideological devolution in the name of territorial unity. And if Yemen’s house stood united for a while, forced into a marriage of political and economic convenience by those ambitious men who failed to see past Saudi Arabia’s imperial manipulations, the poison of sectarianism came to undo. Yemen’s road to freedom would come by way of a counter-revolution, or rather a liberation, as the rise of the Houthis would mark the country’s real democratic awakening. Often dismissed by local political observers as they carry the stigma of the former regime, the Houthis, a Zaidi group organised under the leadership of Abdel-Malek Al-Houthi with a tribal base in northern Sa’ada, have long shed their “rebel group” label. They have been reborn as a powerful and popular political movement. If the Houthis, a formerly obscure band of tribal fighters, could be sneered at back in 2009 and shrugged off as wannabe Shia rebels by Yemen’s high and mighty, the 2011 uprising levelled the political field to such an extent that they have come out of the revolutionary storm like a shiny new penny. For signed copies please refer to info@veritas-consulting.one for further details and instructions. A SHAFAQNA PUBLICATION – While History remains a subject of contention within the Islamic community as it often forces to look upon those actions, and those events which defined, shaped and at times divided us, History stands as well a guidance for those humble enough to see NOT blame but an injunction to do better. 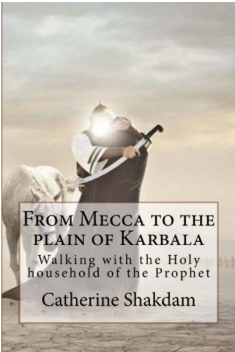 by Catherine Shakdam deals first and foremost with History as it recalls the tragedy of Karbala and the martyrdom of Imam Hussain by looking into those events which led to his rising against Tyranny. Directed at Muslims and non-Muslims alike this body of work ambitions to shed light on a movement which to this day is anchored in Islam’s greatest principles: that of Justice, that of Jihad, which contrary to popular belief is not a call for war but justice – that in the face of oppression one must speak Truth. A son of Islam, the progeny of the Prophet Muhammad, Imam Hussain has towered a revered figure of Islam – an example of courage, compassion, resilience, dignified piety, and grace. It is so that the world could learn of his deeds and speak the true name of Islam that this book was written. We hope you will hear Hussain ibn Ali’s cries of freedom and remember what the grandson of the last Prophet of God sacrificed so that God’s religion would be restored. From the cave of Hijra where Jibreel first spoke to Muhammad ibn Abdullah, to the plain of Karbala where Hussain ibn Ali drew his last breath, it is always liberation from falsehood Islam spoke of, and fought for. The book download version can be accessed here.